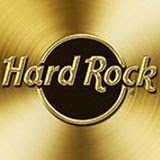 Enjoy Hard Rock Cafe's sunset live acoustic rock music every day from 5:00pm - 7:00pm. Bands include Claudia & Alex, SImple Souls, Johnny Kamai & Dennis, & more! Also, come-in early for our awesome Happy Hour from 3:00pm - 6:00pm. Specials include $3.50 Budweiser/Bud Light drafts and bottles, $4.25 Kona-brewed drafts and bottles, $5 premium well drinks, $5 glasses of house red or white wine. Get in the Hawaiian spirit, Aloha!